When I saw those dies, my eyes went straight to that ornament topper! Oh, ornament topper, where have you been all my life? That little die inspired me to take this set in a different holiday direction:) I paired the topper with the Rounded Diamond dies to make reverse cut, glitter ornaments. 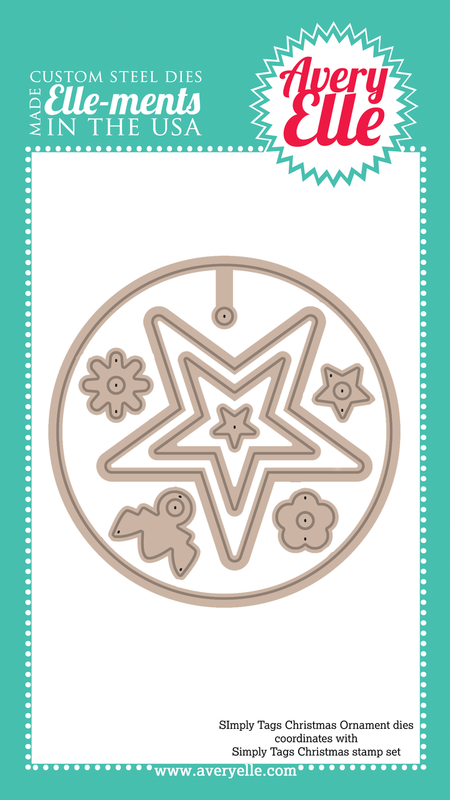 Ummm, gold, reverse cut, glitter ornaments? Love.love.love. For a little more detail, I used the snowflake image to stamp a design on the glitter paper. The sentiment is from Winter Wreath and it's heat embossed in what else? Gold:) I think I'm going to try this technique with the Modern Leaves dies too! So happy to have another Christmas card to add to the stack! Thanks for checking in today!!! Don't forget to visit Heather who has a beautiful fall card today! Well aren't you just CLEVER??? This is so pretty!!! I agree about that ornament topper...WHERE have you been??? This is so elegant and Beautiful!! 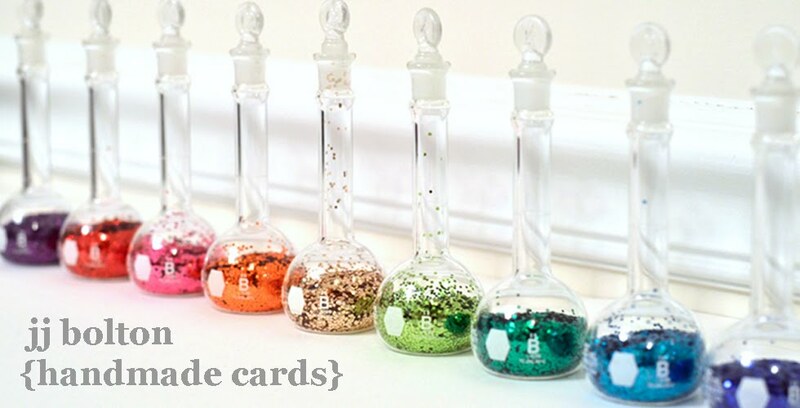 Love your card, the colors and the design - so perfect! Gorgeous JJ! Love that gold paper (as you know), and the glittered/stamped ornaments are perfect! Another AMAZING card! 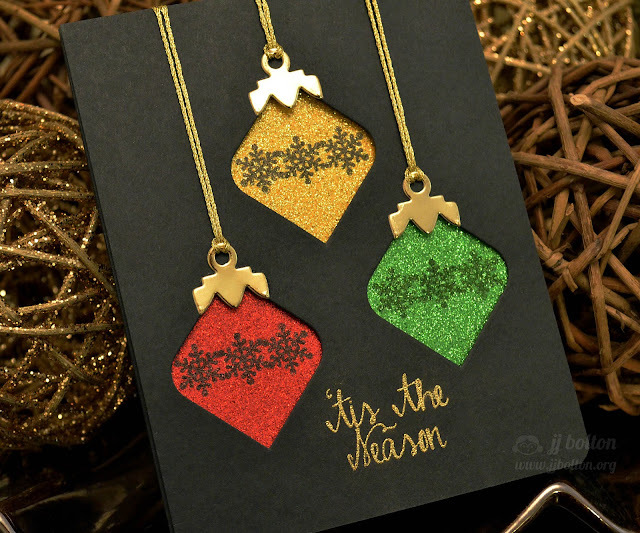 Love everything about it, the glitter-n-gold and the clever use of dies...totally fab! so gorgeous JJ! So creative how you used this with the rounded diamond! Always so fun when you see something and immediately have a great idea! TFS! That's a fantastic ornament topper! So creative. 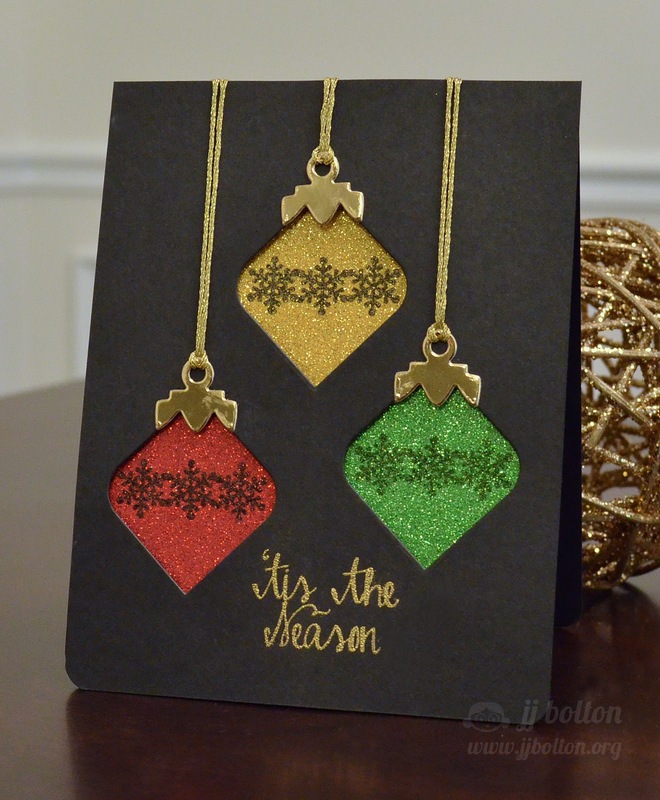 Glittery, negative die cut ornaments? Oh, absolutely, yes please! JJ, this card is fabulous! Wow, I had to re-read your instructions. A friend just gave me some glitter paper and I would not have thought to stamp on it (for some reason). I love the negative glitter ornaments. So pretty. Thanks for the inspiration to try this techique.